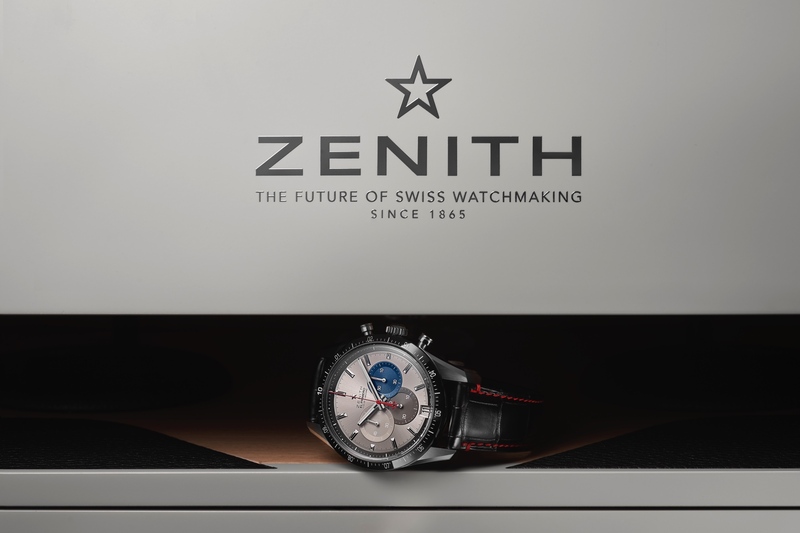 One of the most talked about Zenith timepieces for 2014 has been the Zenith El Primero 410 Triple Calendar Chronograph with Moon Phase indication and new silver-toned dial. The new El Primero 410 comes in a 42 mm by 12.75 mm case and features a box-type sapphire crystal with anti-reflective treatment on both sides. 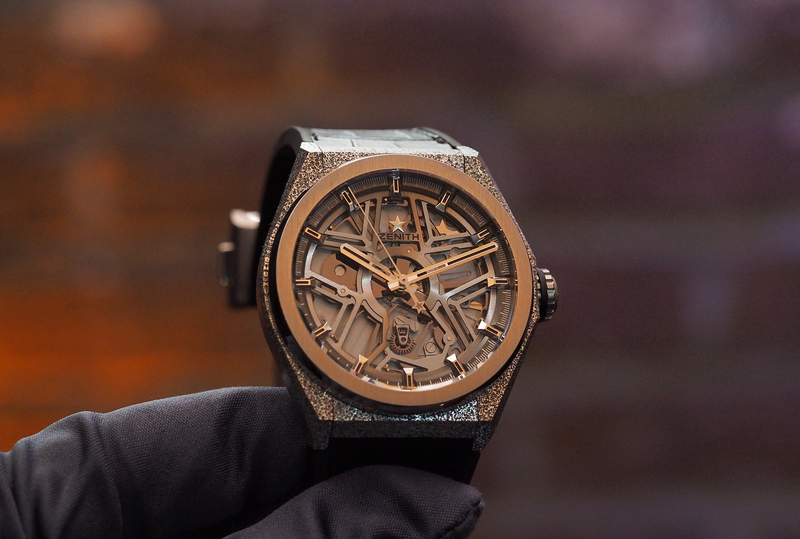 The movement, caliber 410, runs at 5Hz, has 31 jewels, 390 total components, and a 50-hour power reserve. 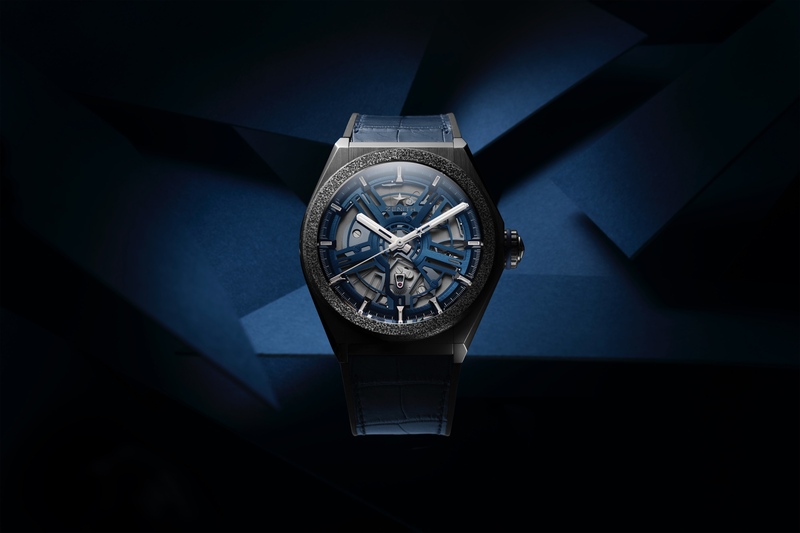 Functions include central hours and minutes, small seconds, day/date/month, moonphase indication and chronograph with telemetric scale (12-hour counter at 6, 30-minute counter at 3, and central chrono seconds hand). 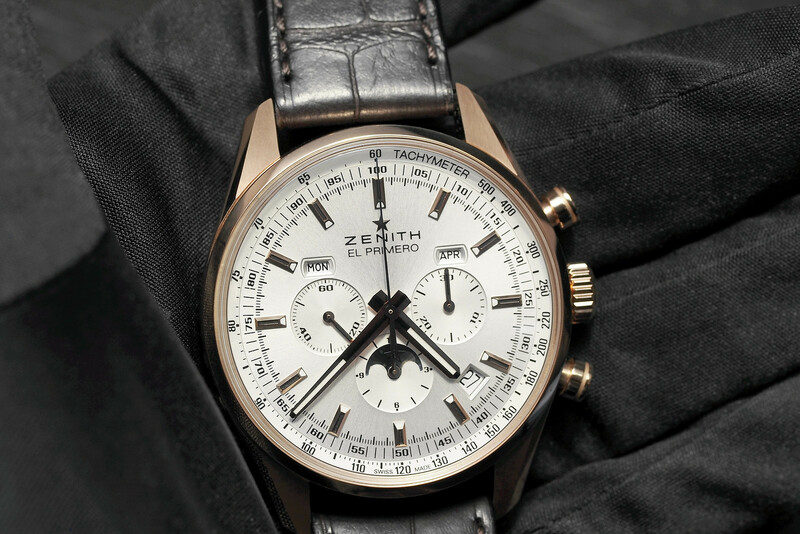 The Zenith El Primero 410 Triple Calendar Chronograph and Moon Phase is available in stainless steel or rose gold. It comes with an alligator leather strap. Read the original post.